As a General Contractor, Amason joins the project team at the conclusion of the design phase, through either a hard bid or negotiated contract. We are dedicated to minimizing cost without sacrificing quality. 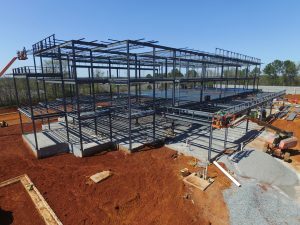 Our extensive general contracting experience enables us to combine the most competitive schedule and budget with quality subcontractors and our self-perform workforce, creating a strong, capable construction team resolved to deliver the successful project our client deserves.